So while creating a survey or poll you should do it as perfect as you can. Here are some apps that will help you with it. PollDaddy provides polling tools for blogs and websites. People create some poll or survey, and Polldaddy web site will generate the code to be posted on their site. With the help of easy-to-use editor, people can create multiple choice or single answers. There are 19 styles you can choose from for your poll widget, and if someone wants to create his own style, he can do it here too. People also can add start and end messages into the survey. SurveyMonkey is an online web application that allows to create surveys for personal and business needs. Users can create surveys in their web browser. Membership is free and includes a limited trial structure where members can send a survey to one hundred respondents for free. There is a big variety of question formats, templates, languages, and themes. There may be must answer questions and checking responses for required data types. Users can restrict the survey by respondent count, password, IP address or date. Also members have some analysis options like filtering and real-time results. They can download results, save them to PDF, or share with other stakeholders. Zoomerang is an online survey tool that helps visitors to create online surveys in order to collect and share feedback. Zoomerang offers limited-use free version as well as more powerful paid versions. The advanced versions provide subscribers with more powerful survey creation and reporting features, like unlimited number of questions, statistics, filtering, custom branding and report downloads. Also Zoomerang offers online panel of over 2.5 mln survey respondents profiled on over 500 attributes. eSurveysPro.com is an online service that can help people design surveys very fast via web browser. People don’t need to possess any special programming. They just need to login into eSurveysPro website and create and deploy surveys. You need make do only 3 easy steps: create survey, collect responses and analyse results. Poll Code is a free poll generator. With its help people can create polls and embed on their web site. There may be up to 30 responses to a question and the look of the poll can be customised to match website or blog color scheme and font. Poll code is easy to use and a great way to get instant feedback from clients or colleagues. Constant Contact’s email marketing, online survey and event marketing tool helps all types of businesses and organizations to create professional email newsletters and online surveys. Plus, they benefit from Constant Contact’s high email deliverability rates thanks to strong partnerships with ISPs and no-tolerance spam policy. AcePolls is a simple and flexible tool for voting. There are two types the vote results may be displayed: a nice pie chart or default Joomla way. There you can choose from a lot of options that makes it very flexible and users can add as much options as they want, select different colors for each options, re-order options, set publish dates for each poll, check votes, etc. PHPForms is a web-based tool for creating and managing professional personalized web forms. Users can also customize website with new web forms integrated with a few clicks. All they need to do – is drag and drop form elements to blank form or template and customize them according to their requirements. Users can make the following forms with PHPForms: online surveys, questionnaires, contact, application, regististration file upload forms and many others. Twiigs offers a comprehensive online polling experience, that helps people to easily create polls and vote on polls created by other users. People are allowed to add any poll they see on the Twiigs site to their own website or blog. By sharing polls, they end up with a bigger, more diverse pool of voters, and hopefully more interesting results. People can browse through Twiigs’s list of public polls and vote for them, email them to a friend and make some comments. MicroPoll is a web polling service. With its help users can create and publish web polls. Also they can analyze the results from the poll. MicroPoll API allows developers to integrate MicroPoll’s functionality in other apps, as well as retrieve poll information and poll responses from the poll. The same poll can be displayed across multiple sites and they all collect data in the same database. Graphs are generated for daily, weekly and monthly voting trends. 99Polls offers simple and interactive web polls for the website. The registration takes a few minutes and requires only user’s email ID. People can create a poll and get poll code in 1-2 minutes. All they need to do is copy and paste this code in the web page where they want to show this poll. Very simple and fast. SurveyGizmo is a platform building online forms and surveys. With SurveyGizmo users can create contact forms, surveys, polls, quizzes, mobile marketing campaigns and a lot more. SurveyGizmo has turnkey integration with SalesForce.com and ExactTarget. Their API allows to place form and response data in third party apps and websites. FreeOnlineSurveys.com is a program that allows to create a survey of questions (to 20 questions) for a limited number of participants (up to 50 responses) in 10 days. Additional questions, responses and longer survey time periods cost a fee. Mineful is a customer loyalty marketing software that communicates with customers in need of attention. This web application enables users to engage with their customers using alerts and actions based on customer analysis. This enables companies to increase customer retention by 50 %. Mineful’s customer loyalty solution is ideal for retailers who don’t have enough time to analyze data and engage with every customer. With its help it will be much easier to communicate with customers that have changed their purchasing patterns. PhD-level customer analysis and retention models can predict attrition, that will allow you to react before this attrition happens. Checkbox is a flexible and easy-to-use online survey tool. It is perfect for creating professional surveys and questionnaires, good in email invitations and triggers, advanced logic and piping. Web services also make it a great option for online forms and evaluations. With Checkbox’s powerful feature set and flexibility you can create customer satisfaction, employee attitude, academic feedback, market research or something else entirely. GetResponse 6.0 is an easy-to-use email campaign tool, with its help customizing HTML newsletters and email promotions is very simple. Its easy-to-customize HTML newsletters and Twitter feed make this tool compelling. You can select 500+ beautiful templates that suit perfectly for your business. Follow up pages thanking the clients with multimedia are a bonus. LimeSurvey is a web application that is installed to user’s server. After installation, users can manage LimeSurvey via web-interface. The layout and design of the survey can be changed in a WYSIWYG editor. Also templates can be easily imported and exported through the template editor. LimeSurvey doesn’t limit the number of surveys a user can create, there isn’t any limit on how many participants can respond. Surveys can include a variety of question types that take many response formats, including multiple choice, text input, drop-down lists, numerical input, slider input, and yes/no input. Now it’s up to you to choose! I’m Ievgen Leonov from Ukraine, working as an internet marketing manager for PRIMA Development Group, a global IT company with headquarters in London, UK. Interesting! I haven’t really experimented with polls, but if I ever need one I’ll have to refer back to this list. 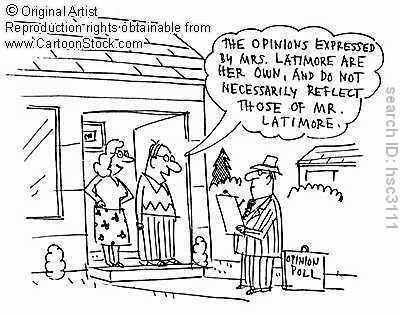 I have thought about using these myself. I know Carolyn from Wonder of Tech does a great job with these as well. Polls are great! I have been using SurveyMonkey a few times. Did you know that you can also run a poll right on your Facebook Page? It’s actually a built in feature called Facebook Questions. Yeah, I’ve tried them a few times.. really nice thing to attract some attention to your page! Very informative post! Thanks for sharing this 17 best online survey poll apps. With the new FCC rulings on Faxing to your customers – seems like Polling is the answer. I want to send my dental offices a poll on government regs. If they do a poll, is there one that you know of that will also give me who it was that did the poll? Can a question on a poll add a comment so an office can leave their name and number or email address if they want additional questions answered? I found an another one. You can use poll.li to vote on comments. It is free and very easy to use. It is very funny!! You can access at http://www.poll.li! You forgot to mention about http://www.sogosurvey.com. Recently signed up with them. Highly recommended! I recently found one from across the seas which I think deserves a mention. 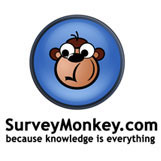 http://www.smart-survey.co.uk is the British equivalent of Survey Monkey, but with a more customizable interface. I just think it needs mention as well. I use http://www.knockoutsurveys.com for my poll site. I’m looking for integrating a survey creation for users within my platform. I’m therefore looking for a service that can give multiple user access from one account. Anyone has experience with that? Great Post Andrea! Thank you for this almost perfect list of online poll/survey creators. However I do feel that PollDeep should also be added to this list given its ability to conduct amazing results. Latest features and super service has made it a name to reckon with in this industry. I use http://www.votesy.com Votesy is a social crowdsourcing voting platform and community. Users can create a text, image, or video-based poll and receive votes and comments to see which choice is the crowd favourite. Detailed stats of the results including gender and age are available as well. SurveyMonkey is good when it comes to survey creation, but i was not really satisfied with their survey templates and question bank. I have also tried SoGoSurvey for employee satisfaction survey and was surprised to see their survey samples and huge list of sample question which was very easy to use.